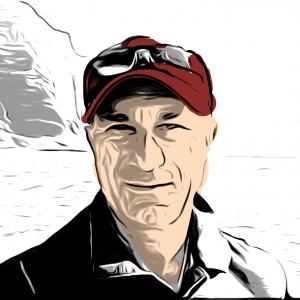 Ubiquitous Wisdom | What’s a Hookah? Frequent readers of this blog [that phrase is a bit of a conundrum, since I took a 15-month break from writing, and only got back to the keyboard early this month] know that I love words and wordplay. A while back we were driving along the road and I saw a sign on a shop called “The Hookah Place,” offering its clientele a variety of different hookah-smoking experiences. Ever since Grace Slick of Jefferson Airplane sang about a “hookah-smoking caterpillar” in the song “White Rabbit,” I’ve been more than a bit curious about what it would be like to smoke a hookah [though I’ve never tried it]. An upcoming trip to Istanbul got me thinking about hookahs again, probably the mental connection I make between hookahs and the Levant and the Ottoman Empire. So, what exactly is a hookah? 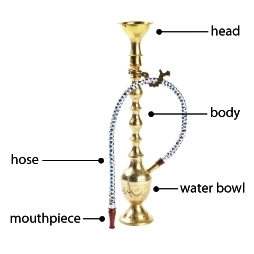 A hookah, also known as nargile, arghila, goza and other names, is basically a water pipe with a smoke chamber, a bowl, a pipe and a hose.Hookahs vary in size, shape, and style, but a typical modern hookah has a head (with holes in the bottom), a metal body, a water bowl, and a flexible hose with a mouthpiece. Specially made tobacco [shisha] that comes in different flavors, such as apple, mint, cherry, chocolate, coconut, licorice, cappuccino, and watermelon is heated, and the smoke passes through water and is then drawn through a rubber hose to a mouthpiece. Some hookah smokers like to think that hookah smoking is safer than smoking cigarettes. Unfortunately for those deluded hookah smokers–according to the Center for Disease Control and the Mayo Clinic–the tobacco is no less toxic in a hookah pipe, and the water in the hookah does not filter out the toxic ingredients in the tobacco smoke. Hookah smokers may actually inhale more tobacco smoke than cigarette smokers do because of the large volume of smoke they inhale in one smoking session, which can last as long as 60 minutes. The Mayo Clinic also warns that hookah pipes used in hookah bars and cafes may not be cleaned properly, raising the risk of the spread of infectious diseases. The risk of infection is exacerbated because hookah smoking is typically done in groups, with the same mouthpiece passed from person to person. If, in spite of the risks, you wanted to try out hookah smoking, you can buy one for anywhere from $40 to $400 dollars, depending upon how elaborate the design and construction of the hookah might be. The tobacco [shisha] is much more expensive than cigarettes. but, of course, you are much less likely to light up your hookah while cruising down the Pacific coast Highway in your top-down roadster than you would be to light up a cigarette, so you’d probably use it rather infrequently. If you are leery about making such a big investment, you can try hookah smoking at a local hookah lounge. Here in Southern California there are probably a lot more such spots than in some other parts of the country, but you can find hookah bars in almost every part of the country. The one I mentioned at the start of this article was in Hilton Head, SC. I located one, The Village Hookah, in Lake Forest, CA, only a few miles from my home. Now that I know a bit more about hookahs, the mystique has disappeared, and I’m really not interested in trying one. 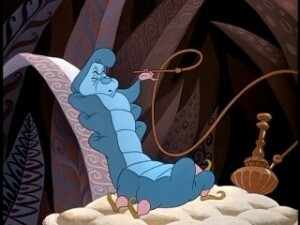 I’ll leave it to the hookah smoking caterpillar, while I stick to red wine and dark chocolate. 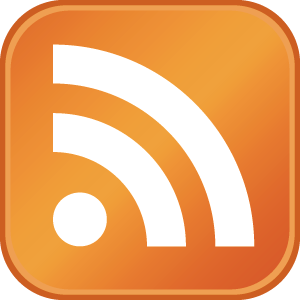 Simply click on the Little orange "RSS" button, below and follow the instructions.